Have had the privilege of knowing Mylon,Wendy and the family for several years now. Everything about them is absolutely genuine. It reflects in every aspect of their life, especially their music. We have become very good friends with them and go hear them sing every chance we get. Their albums continue to get better as they go. They are definitely a must listen!!!!!!! 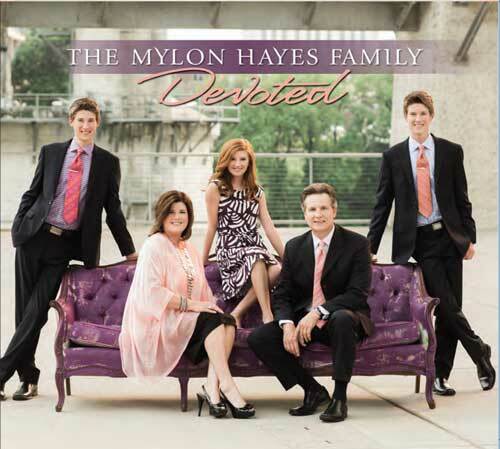 Devoted by the Mylon Hayes Family is their best CD yet. Mylon and Wendy are keeping the rich tradition of their family gospel singing going in a dynamic way. Each song on this recording has a strong gospel message. With their family harmony that they bring to the selections, it makes for a spiritual event to be enjoyed by the listener. This family is devoted to their Master and it is certainly evident in their recordings and concerts. I heartily recommend this CD with a 5 star rating, also. Just saw them up in Winnipeg at Morrow Gospel church. What a great family! Ended with a well deserved standing ovation.